Dr James Earle and his wife live in comfortable seclusion near the Hog's Back, a ridge in the North Downs in the beautiful Surrey countryside. When Dr Earle disappears from his cottage, Inspector French is called in to investigate. At first he suspects a simple domestic intrigue--and begins to uncover a web of romantic entanglements beneath the couple's peaceful rural life. 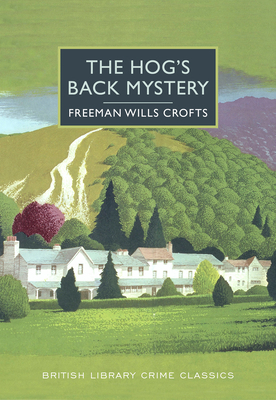 Freeman Wills Crofts was a master of the intricately and ingeniously plotted detective novel, and The Hog's Back Mystery shows him at the height of his powers. This new edition of a classic mystery is introduced by the crime fiction expert Martin Edwards.